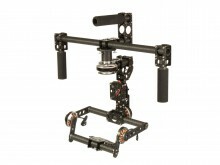 The gimbal CameraMount CM-M is well suited to stabilize cameras such as for example a Panasonic Lumix GH-4 in order to allow for video footage entirely lacking camera shake. 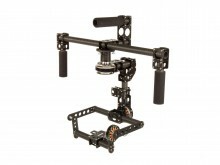 The mount can be used in three different ways. 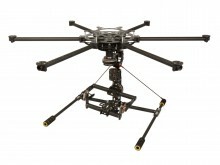 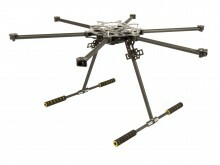 Mounted beneath a copter such as for example our AirFrame AF6-800 of the 2- or 3-axes make, this gimbal will allow you to create sensational aerial photographs of the very highest quality. 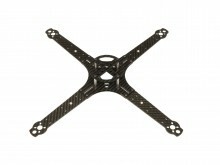 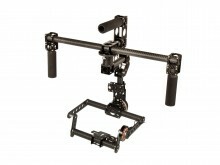 If attached to a manual operating device this gimbal lets you create videos that could otherwise only be possible through usage of costly camera sliders or slewing cranes. 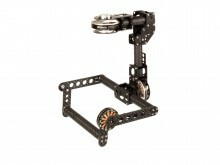 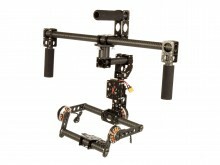 In this configuration this gimbal is very similar to a Steadycam. 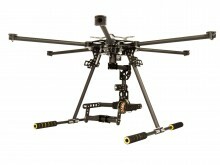 Together with an ordinary camera tripod it can be used to take panorama or gigapixel photographs as well as record scenes with a pre-programmed pan shot. 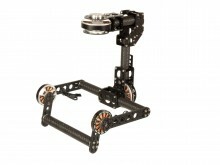 The modular concept enables us to adapt our gimbals exactly to our customers' wishes and requirements while still having our focus lie on lightest possible weight as well as ensuring a nonetheless stable design.